The pizza dough made with Krug "Grande Cuvée" Brut Champagne rested overnight and was ready to be topped. After a shopping trip with chef Paul Booras, we were ready to complete this experiment and make three Champagne pizza recipes. Being the great culinary mind he is, Paul had a ton of great ideas on how to top this dough. He picked out a bunch of cool ingredients from Whole Foods and whipped up his mise en place in the Baking Steel Test Kitchen. The three distinct pizzas all captured the champagne flavor in their own way. 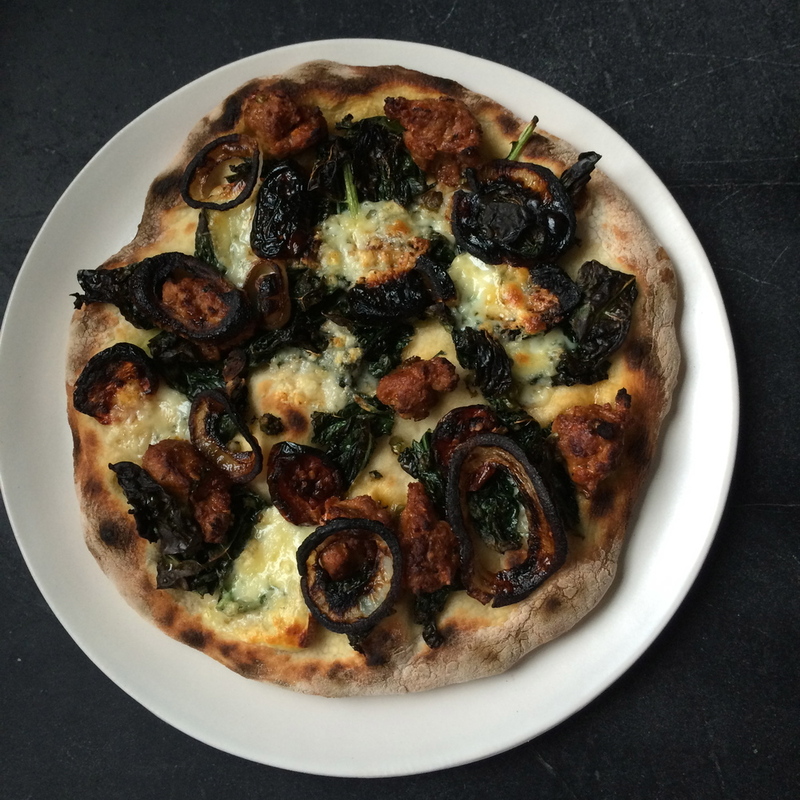 The mushroom pizza probably received the most fanfare from the friends that joined us for an afternoon pizza party. Place Baking Steel on top rack of your oven. Pre-heat to 500 degrees or on full throttle (Preheat 45 minutes-1 hour). Stretch or roll out dough to a 12-inch cylinder, or any shape will do. Lightly flour your peel and place dough on top. Evenly distribute a very thin layer of tomato sauce, leaving 1 inch around the perimeter. Launch onto the Baking Steel, bake until you've reached your desired brownness. Learn more about Baking Steel and the Champagne Pizza Dough experiment.